"...Everything in life is relative..."
Research Field: "Spectral signatures of molecules with biological interest and their hydrated clusters"
Research Field: "The link between spectral signatures and the shape of flexible molecules"
Research Field: "Spectral motifs of carbohydrates and their hydrted clusters"
Thesis Title: "Spectral Signatures of Biomolecules"
The structure of biomolecules plays an important role in determining their selectivity and functionality. Molecular shapes and conformations of gas phase biomolecules are mostly investigated by coupling infrared (IR) excitation of fundamental vibrational modes with resonant two photon ionization (R2PI) in the ultraviolet (UV). However, due to the lack of tunable laser sources in the entire IR region, spectral features can be monitored only in a limited range. Therefore, we develop and employ, for the first time, a method combining Stimulated Raman Excitation (SRE) with ion dip spectroscopy (IDS) to investigate and map conformations of small biomolecules. Our results show the great potential of the ILSRS technique, for obtaining the spectral signatures of biomolecules, while using available laser sources. Project I: "Analysis methods in the investigation of crystal structure of Fluorite"
Project II: "Analysis and comparison of the structure differences in Fluorite and Apatite crystals"
N. Mayorkas, H. Sachs, M. Schütz, S.-i. Ishiuchi, M. Fujii, O. Dopfer and I. Bar, Structural motifs of 2-(2-fluoro-phenyl)-ethylamine conformers , Phys. Chem. Chem. Phys., 2016, 18, 1191-1201. N. Mayorkas, A. Bernat, S. Izbitski, and I. Bar, Vibrational and vibronic spectra of tryptamine conformers, J. Chem. Phys. 138, 124312 (2013). M. Epshtein, A. Portnov, N. Mayorkas, S. Rosenwaks, B. Brauer and I. Bar, Revealing the Hot Bands in the Regions of the N-H and C-H Stretch Fundamentals of Pyrrole, J. Phys. Chem. A. 2013, 117, 11618−11623. 26.11.2015 "Electron Spin Noise Scanning-Tunnelling Microscopy ESN-STM", Poster Presentation, NanotechItaly2015, Bologna, Italy. 15.01.2013 "The Link Between Spectral Signatures and the Shape of Flexible Molecules",talk on Ph.D. thesis work, Lasers seminar, Ben Gurion University of the Negev, Beer Shava Israel. 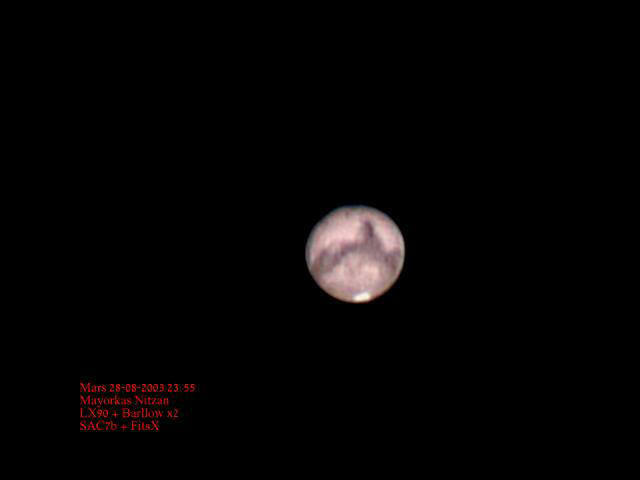 14.04.2011 "Structural Probing of Flexible Molecules", Talk, Physics Festival, Sde-Boker, Israel. 06-08.04.2011 "Ionization-Loss Stimulated Raman Spectroscopy for Conformational Probing of Flexible Molecules", Poster Presentation, Faraday Discussions 150 Conference, Basel Switzerland. 06-08.04.2011 "IR-UV Ion Dip Spectroscopy of Mannose•D2On Complexes: the Anomeric Effect Laid Bare", Poster Presentation, Faraday Discussions 150 Conference, Basel Switzerland. 12-17.06.2010 "Raman Spectral Signatures as Conformational Probes of Gas Phase Flexible Molecules", Poster Presentation, IBBI Conference, Berlin Germany. 28.04.2010 "Raman Spectral Signatures as Conformational Probes of Gas Phase Flexible Molecules", Poster Presentation, LSF user meeting, Abingdon United Kingdom. 03.06.2008 "Spectral Signatures of Biomolecules", talk on M.Sc thesis work, Lasers seminar, Ben Gurion University of the Negev, Beer Shava Israel. 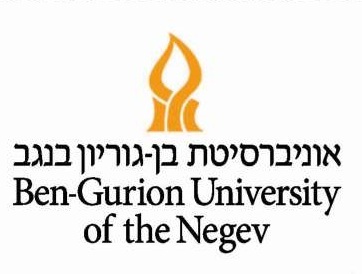 2016-2017 Lecturer in physics, Negishut Program for Pupils seeking Higher education, Ben-Gurion University of the Negev. 2009-2016 Advisor for pupils in research, Ilan Ramon Center for youth seeking science. 2008-2015 Advanced Physics Course, Lab assitant in X-Ray, STM, HeNe, UHV-LEED and NMR Labs, Physics department, Ben-Gurion University of the Negev. Computer technician Hardware and software. Logistics, industrial engineering and management.